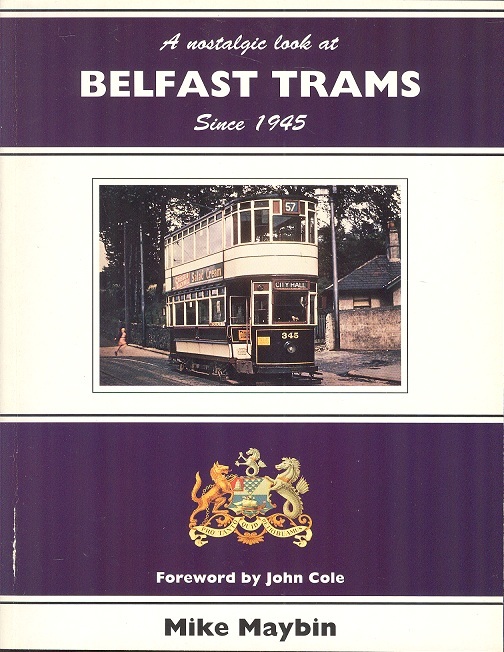 A Nostalgic Look at Belfast Trams Since 1945 . Maybin, Mike. Silver Link Publishing Ltd, 1994. 1st Edition. ISBN: 185794030X. 100 pages. 440g. Soft card covers with small split to bottom area of front cover, Very good with the contents tight and clean. illustrated with over 190 b/w photographs, many previously unpublished, and route map. The history of this tramway system from the year 1945 when they claimed their record number of passengers.